I have been to this bubble tea place numerous of times, from before they have renovated until now. I think this place has been around for almost ten plus years and still going. Reason? I believe good food and great value. 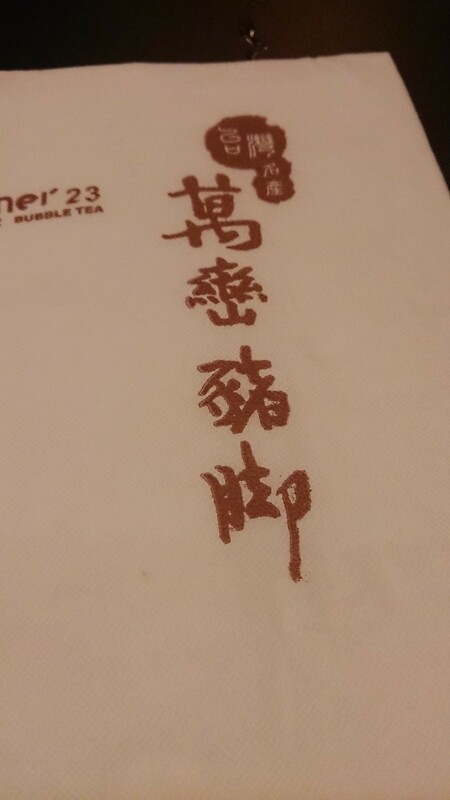 They are a Taiwanese owned family business, used to be very homey with the older decor. Right now the interior looks much more modern and sleek. Their menu has also changed after the renovation, it sells mainly meal combos much like any other Taiwanese bubble tea places. Their combo usually comes with a small cup of black tea (lightly sweeten), a bowl of rice, and three small side dishes (vegetables two hot and one cold) – soy sauce braised tofu (I find this one quite salty for my liking, need to remove it from the sauce to prevent further soaking of the sauce), stir fried cabbage and picked cucumbers. 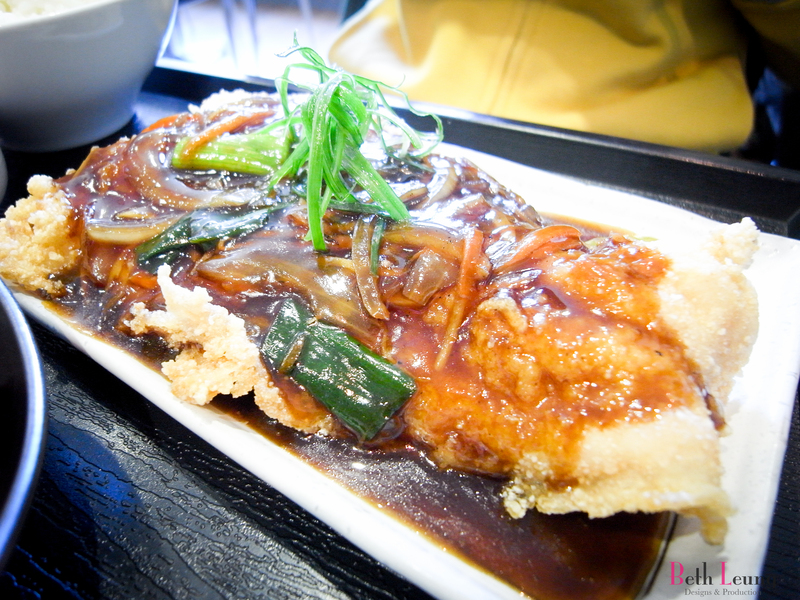 Simmer-fried fish steak – deep fried fish steak then topped with sweet soy sauce. 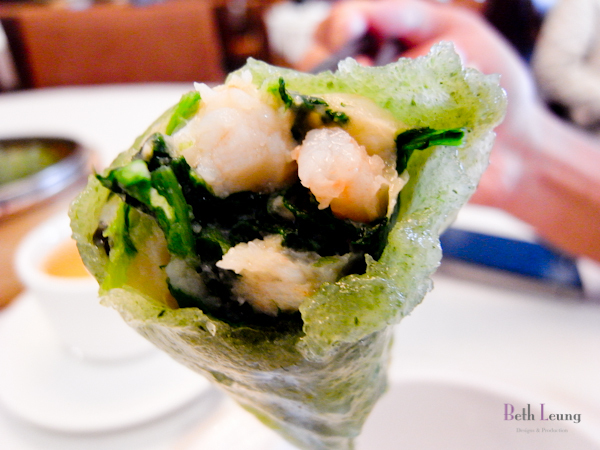 When this was eaten fresh, you get to taste the crunch and crisp of the fish. But need to eat the moment they serve it because the sauce will deflate the crisp really fast and turns into not so good fish. BI Flame Grilled Chicken – house made sauce marinated chicken then flame grilled. 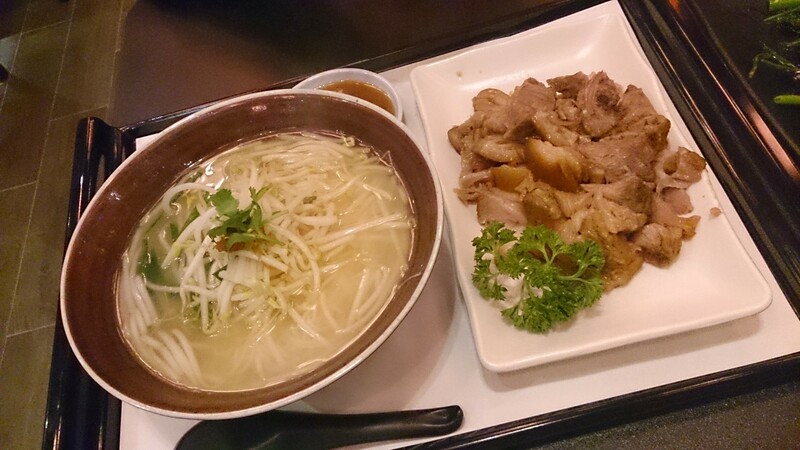 There is a special aroma and somewhat close to teriyaki sauce but it is not. Buttered mushrooms. I find this one a little too casual, I know this is a family run restaurant but this mushroom was watering like crazy plus I think they’ve chopped everything up way too much made it very hard to pick up with all the water. 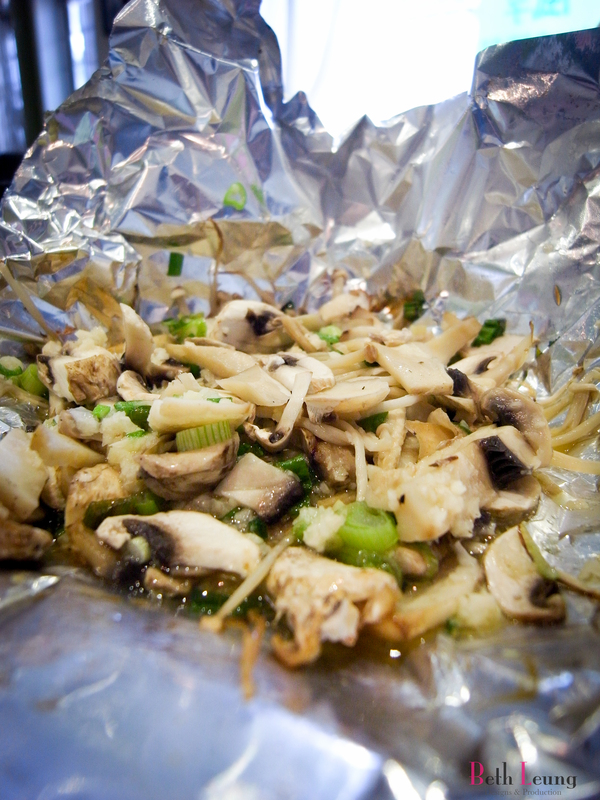 Scallion Ginger Chicken – steamed boneless chicken topped with onion and ginger sauce served chilled. This is my favourite so far out of all the ones I’ve tried so far. Delicious ginger onion sauce on top of cold boneless tender chicken, the texture and the flavour is so perfect together. And yes reminds me of home. 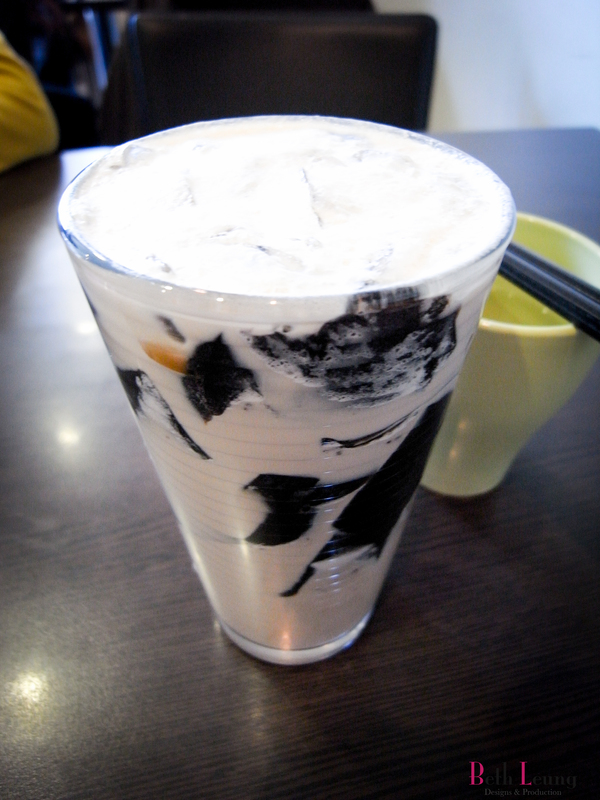 Grass Jelly Milk – okay I don’t know where I’ve been but obviously I had been missing out. How come I never noticed they have this? Lightly sweeten grass jelly in sweet milk, the grass jelly I believe are also house made because they’re very soft and can be sucked through a straw. I couldn’t stop myself from drinking this and got full really fast. :p This place have always have good food, but do not expect service. I consider this an easy quiet bubble tea place I often visit to avoid crowd so I can talk to the people I share food with. New location in Richmond Continental Plaza right at the corner where G-Ramen used to be. (Original location is across of King Edward Skytrain Station in Vancouver. As I entered the Taiwanese Bubble Tea place I noticed right away how beautiful it is renovated! Lots of mirrors and tall ceiling with beautiful lanterns on top gave it a very nice and grand feeling. It is very gorgeous for a bubble tea place. 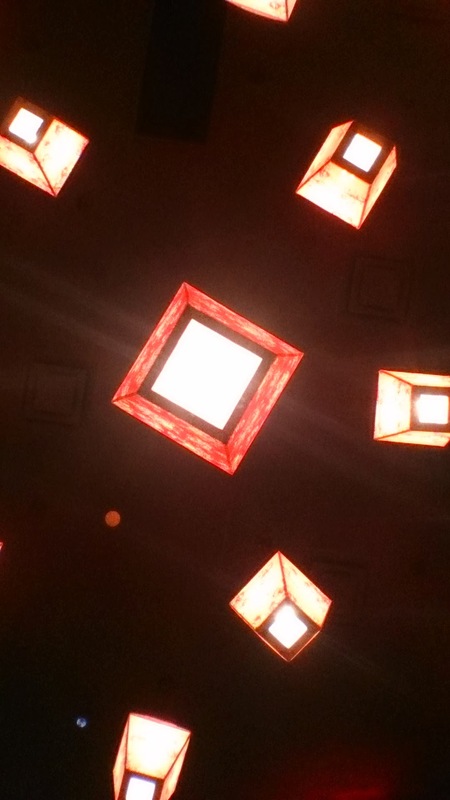 As I was seated, I can’t help but keep looking at the ceiling and the walls. 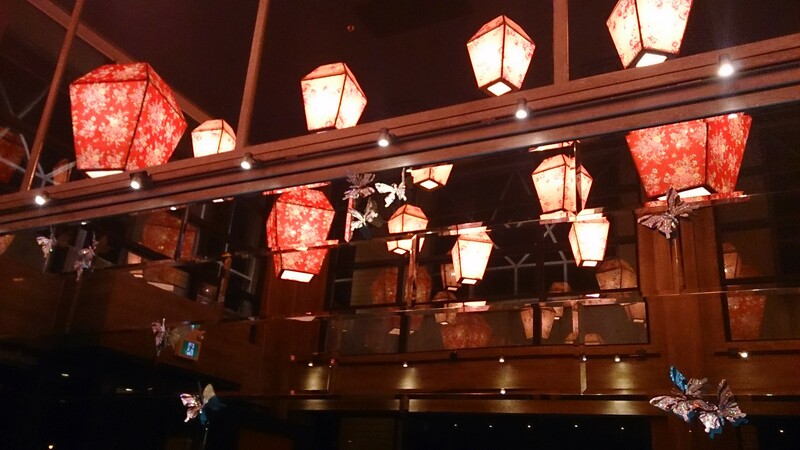 The mirrors and lanterns! I just can’t take my eyes off of them. I absolutely loved it! But anyways, aside from pretty decorations the food is also very important. I haven’t had pork hock Chinese style in a while. There is always this rich and heavy flavours in pork hock, but along with the garlic sauce provided the flavour becomes just right. The strong garlic sauce takes away a little bit of the heavy meat flavour and worked great together. 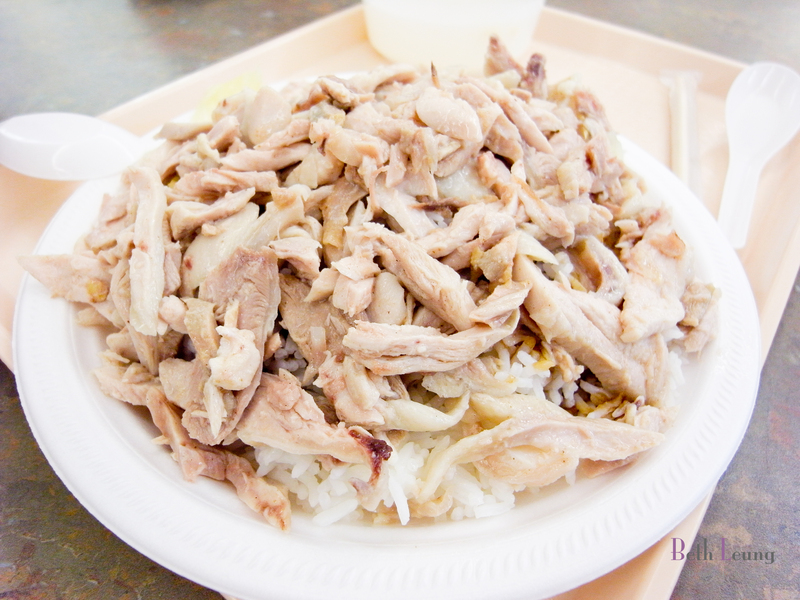 Which is also very good on rice or plain noodle to truly taste the pork hock. 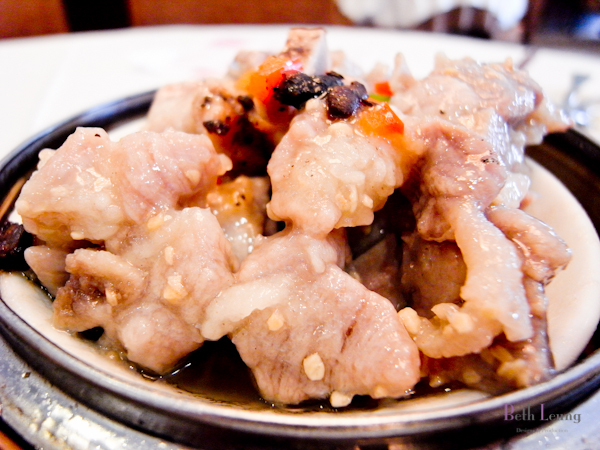 Pork hock is not easy to make and is very time consuming. It’s either love or hate because not many appreciate the flavour of pork hock, but if you do like it then you should come and try this out. 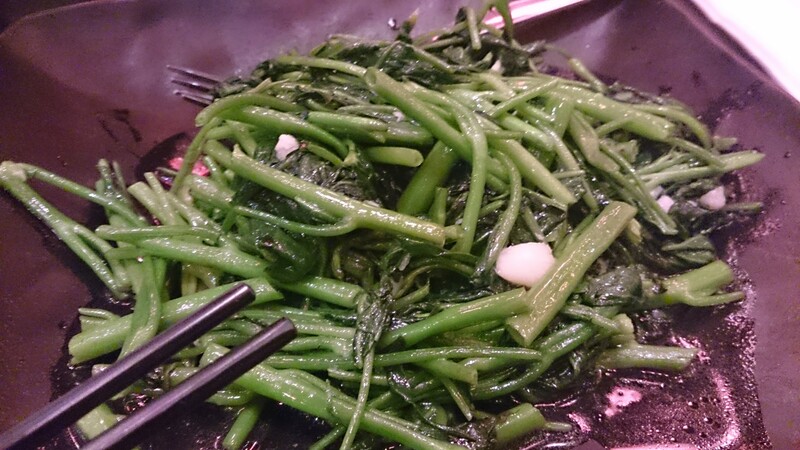 Stir fried Water Convolvulus – I would consider them a little ‘old’. 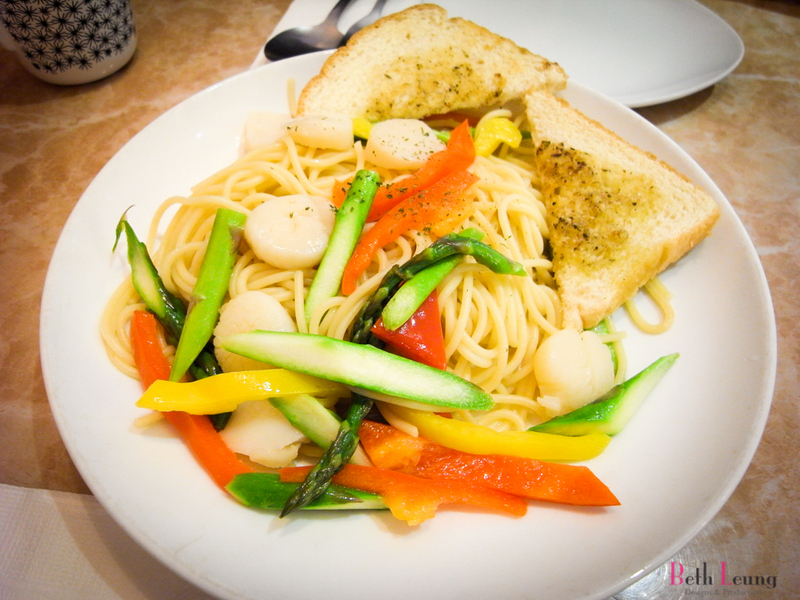 The veggie itself is not tender enough but flavour is fine. Maybe just the veggie is not in season? After hearing about this restaurants numerous times from various of people and seeing line ups every time I pass by. I decided to really give it a try. So I arrived on a Saturday evening with two friends around 7:30pm, we had to wait for about 15 mins for our seats (there were also other big tables waiting but of course those are much longer wait). It’s a very tight and stuff restaurant, it was a summer day and the AC is just not strong enough. And tables are very packed right next to each other. So if you don’t like crowds, I wouldn’t suggest you go. So we ordered a few dishes to share. 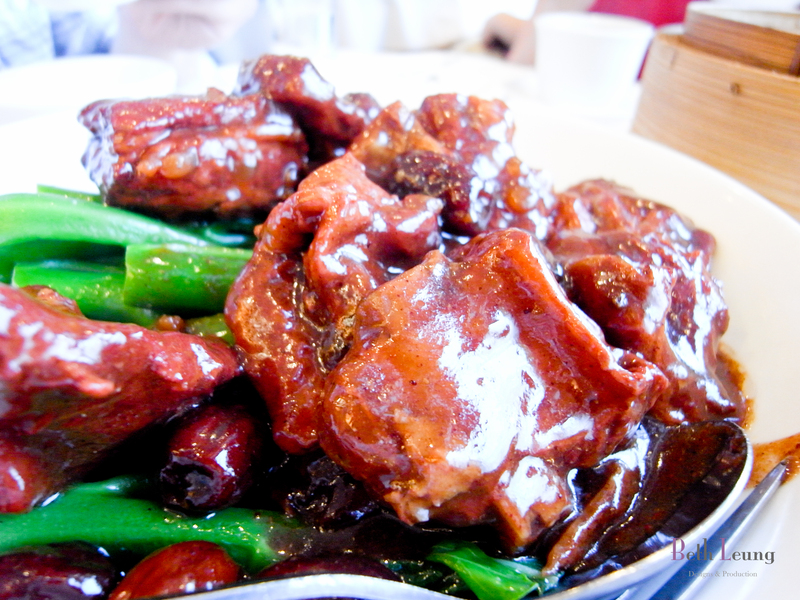 Stir fried ribs with a sweet sauce, all of these ribs have no bones (but have soft bones). 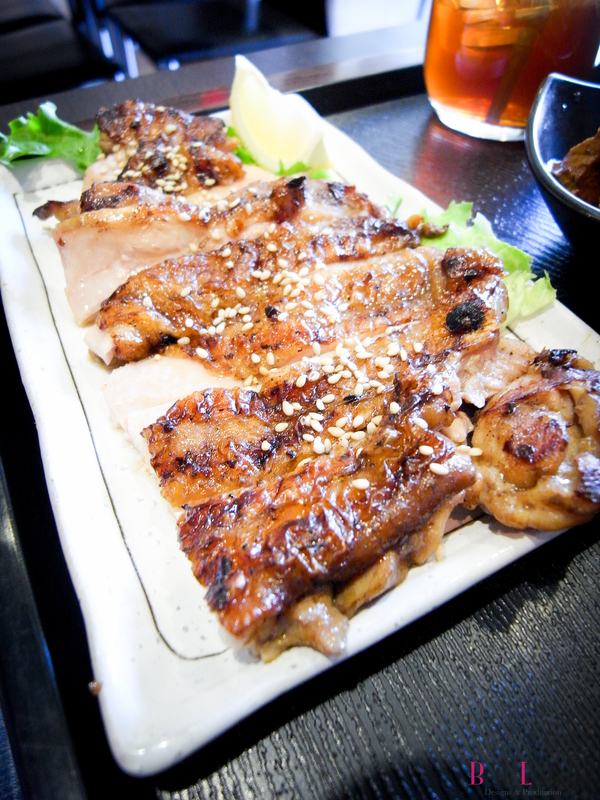 All cooked to the perfect tenderness with flavour of the sauce. I really liked these ribs. They are so yummy! Then it’s the must get stir fry Shanghai sticky rice cakes. The rice cakes were cooked just right which are soft enough but still keep the chewiness. 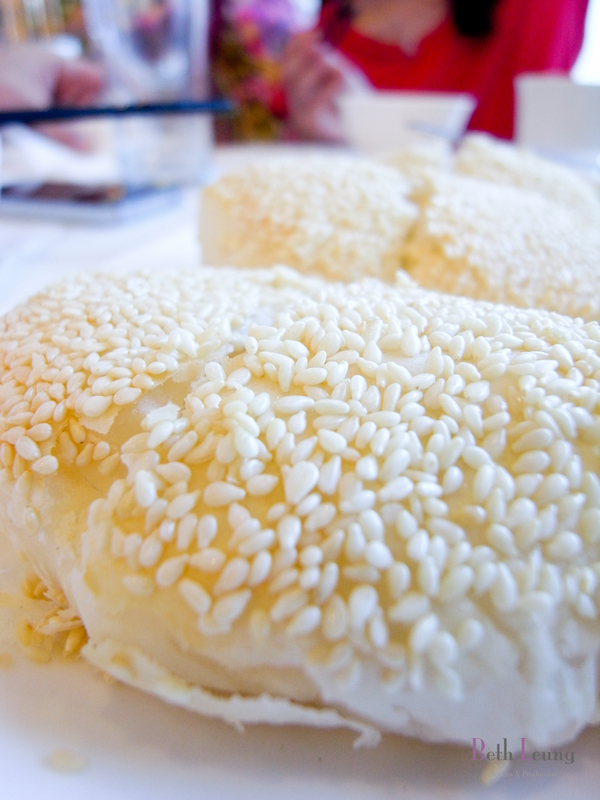 I always like Shanghai sticky rice cakes (my mother is from Shanghai and she always tells me that these sticky rice cakes are not as easy to make as they seem). These ones also tasted extra flavorful with fermented veggie and shredded pork strips. Last we ordered these “Crab Shell” pastries for dessert. 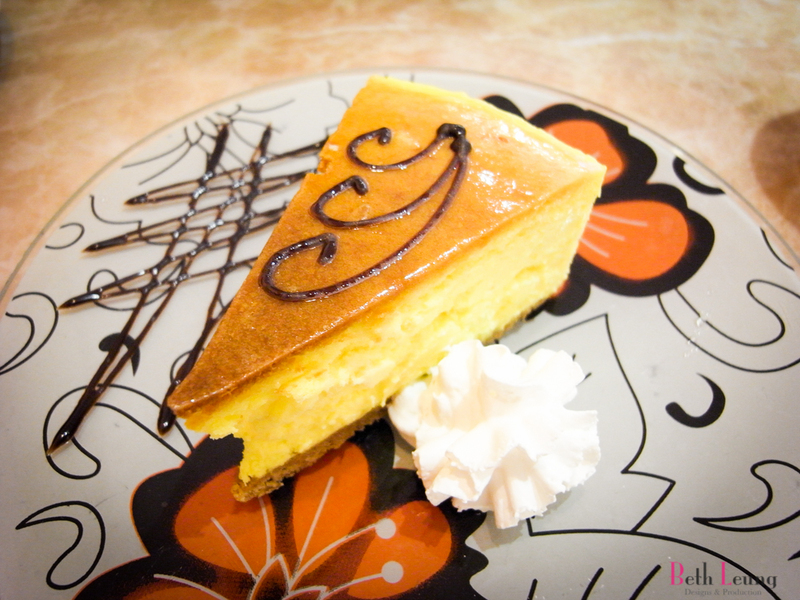 Please don’t be fooled by the name, there is no crab in this dessert. The name is only because the dessert itself looks like a crab shell. 😛 But what you want to look for is good fluffy shell (possibly seeing layers once you tear it open). And they do have it. Though I think the fillings (sweeten shredded coconuts) are just a tad bit sweet, really just a tad bit. Is acceptable if you eat with tea they provide you. 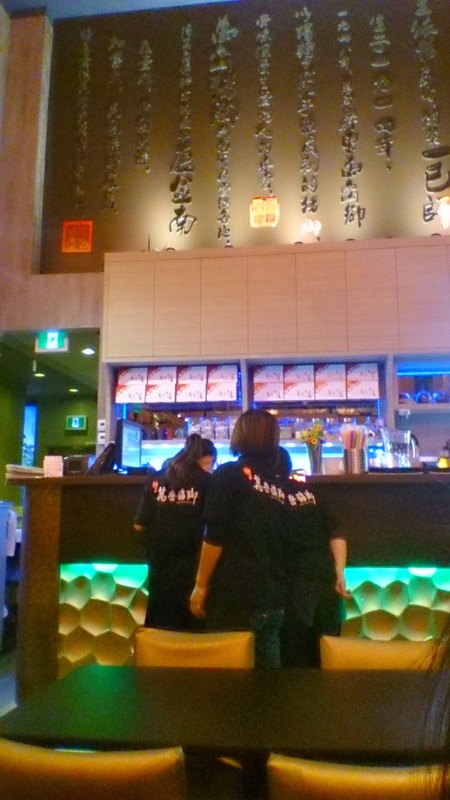 I liked the place aside from the noise from the crowds, but the staffs are friendly and food is great. Though I would probably reserve next time if I have any bigger size tables. As soon as I go in, I was greeted right away by the friendly waitress. It was only 6pm on a Wednesday night and there are only three empty tables left (one is reserved). So we were seated towards the end of the restaurant (close to the kitchen). There were only two of us, so we couldn’t really order large dishes to share. We both ordered soup noodle and a dessert – oh and soy milk (store bought. 😦 ). Five Spices Beef Noodle Soup – the flavour is in the beef is not in the soup. Just to clarify. 🙂 The beef is tender with really nice flavours. Noodle was good also, but maybe it could have been thicker and chewier? Don’t get wrong, it’s not bad but there is just nothing amazing about this noodle. 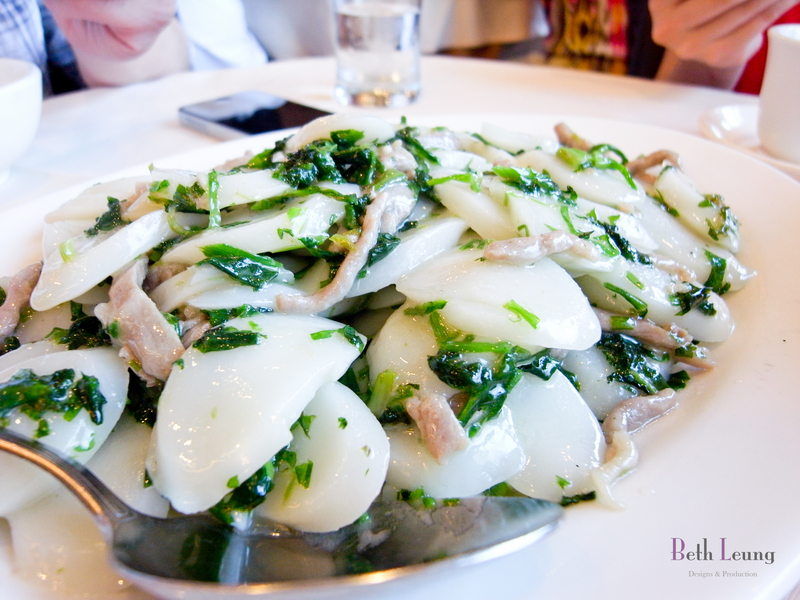 I ordered the Shanghainese rice cakes in soup. Normally my mom cooks the rice cakes as stir fry. I know lots of people from Shanghai eat them in soup also, so I ordered one to try. It was good, the rice cake very chewy. But I am not sure if it is store made. They look like packaged rice cakes. But soup was good with lots of veggie. 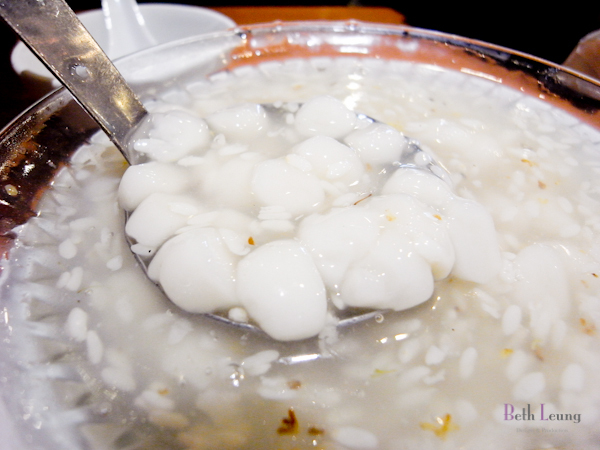 Last but not least our dessert – Osmanthus Mini Rice Balls in Sweet Rice Wine Soup (酒酿桂花小圆子). Why the sad face? Because I was enjoying everything until I found a long strand of hair in my sweet soup. 😥 I told the waitress about what I saw and she apologize (which is fine). Then she asked me what I wanted to do with the soup. I don’t know, what am I suppose to do with the soup? I just left and she didn’t try to do anything else. Every year summer night market is a must attend event. This year the new Richmond night market by River Rock Casino brings up more hype and live to the city of Richmond. There are always tons of food stands that is impossible to try all. So I picked a few ‘easy’ ones. Next off my friend got the Fresh Squeezed Lemonade. I had a sip of the original flavour and surprised me that it wasn’t overly sour or sweet. Very refreshing. They have jumbo size for $6.00 but that size is good enough for the whole night market round. While my friends lined up for egg waffles from Egg Puff (20mins wait), I went to get there skewers from It’s All About Grill – garlic chicken, bacon sausage, spicy pork. I tried this place last year at the old summer night market and it was good. I have to say I was pretty disappointed this year. Half of the chicken was burnt and tried, couldn’t really taste the garlic. Bacon sausage was so salty and oily. The pork, yes it’s pork but not spicy. Then my friends came with a banana chocolate spring roll. It was so hot (first bite :p). It was actually not bad, wasn’t overily oily. A little on the sweet side. At one of the many aisle corners, there was this tenpanyaki squid. Very spicy but actually pretty good. 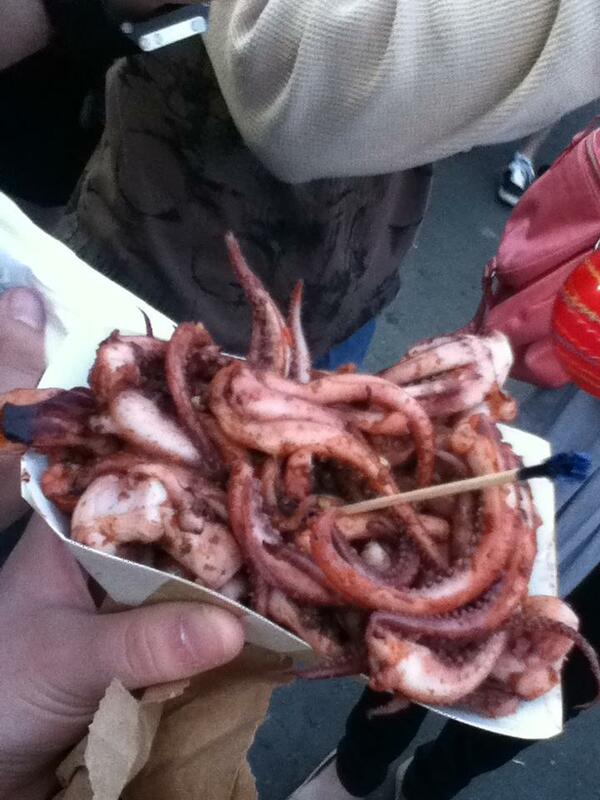 Wasn’t dried out, good chewiness to the squid. But once again I must warn, it is very spicy. Buy a drink if you are going to eat this. Too much food need to go few more times to try it all. 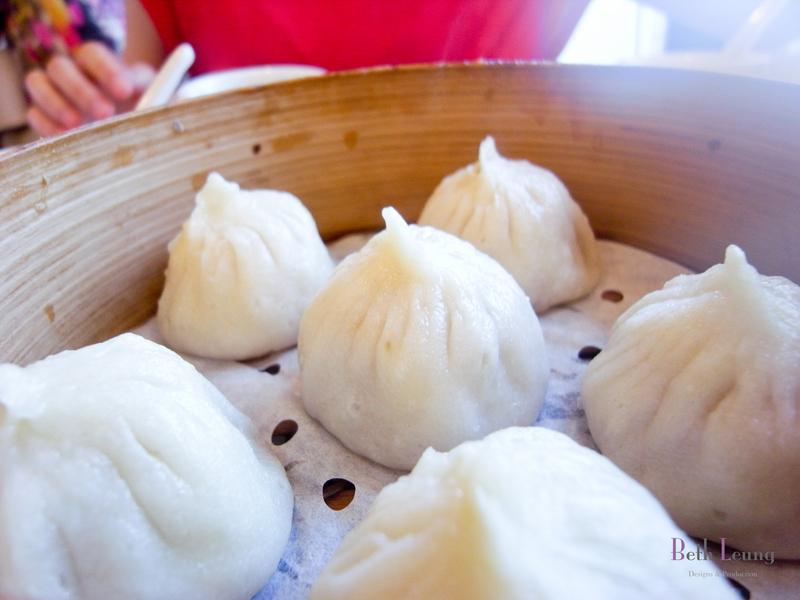 Went out for dim sum on a cold morning, Prince Seafood Restaurant (2881 Grandview Highway) is a fair price and quality dim sum restaurant close to my home. 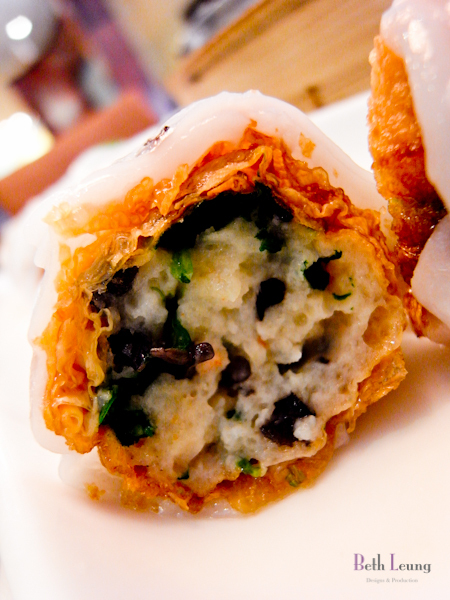 I love to dim sum on a weekday morning because I can avoid all the line ups and slow service. I have been here a few times so I sort of know what to order. 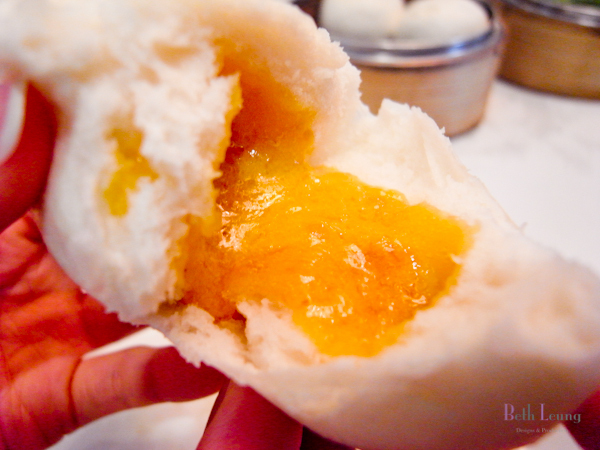 I think there’s another name for this bun, I just cant remember right now. But everytime I come to this place I just needed to order this. 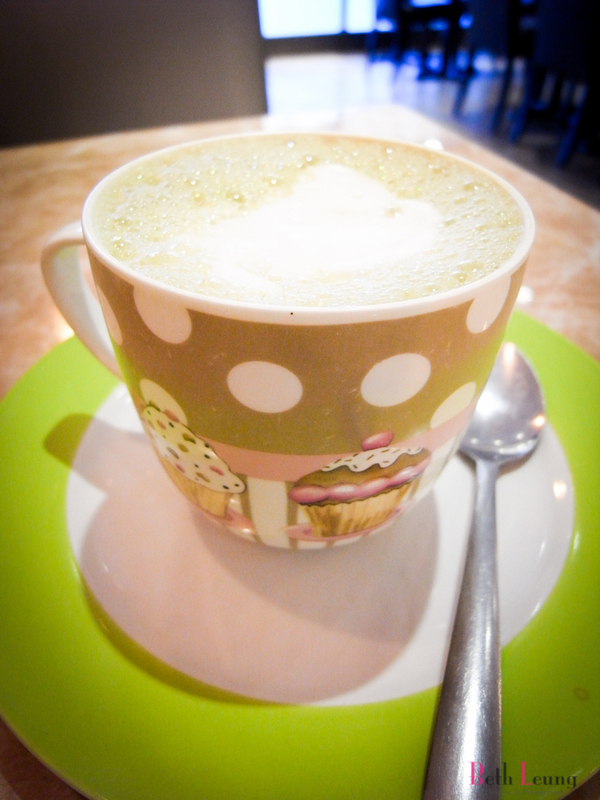 It’s liquid duck yolk inside – hot and steamy almost like a lava chocolate cake. It’s savoury instead of sweet but it’s soooo yummy! I just couldn’t resist it.